When Ferdinand Magellan witnessed the sunrise from the deck of the Trinidad on April 27, 1521, he scarcely knew it would be his last. In the distance, the large coral outcrop of Mactan Island beckoned with a strip of powdery, cream-colored sand lapped by rippling cyan waters – the kind of tropical idyll that sun-starved modern travelers go halfway around the world to see. But the celebrated Portuguese explorer was here in the service of Spain, midway through an epic circumnavigation of the globe. His more immediate mission was to fight on behalf of his newfound friend and ally Rajah Humabon, the chieftain of a nearby port town named Zubu. One wonders whether Magellan thought it wise to involve his motley crew in the local inter-island warfare, for the Iberians found themselves vastly outnumbered by an enemy force under the tribal leader Lapu-Lapu. As the fighting raged on the beach, their muskets and shipboard cannons proved useless from beyond the shallows, and the ragtag band of mariners beat back a hasty retreat to the safety of their ships. Four of Rajah Humabon’s soldiers and nine of their number, including Magellan himself, were killed in the melee. It might have been an inauspicious encounter with the indigenous people of the Philippines, but that brief episode would pave the way for the Spanish to gain a lasting foothold in Asia. Magellan had already succeeded in converting Rajah Humabon and his queen Hara Humamay to Christianity, gifting them a wooden statue of the Christ Child upon their baptism, while the reports the surviving sailors brought back to Seville of an alternative route to the fabled Spice Islands (or Moluccas) was enough to inspire the Spanish to launch further expeditions. Fellow Iberian explorers eventually followed in Magellan’s wake. Sailing westward from the Pacific coast of Mexico in 1542, Ruy López de Villalobos reached the islands of Samar and Leyte, naming them Las islas Felipinas in honor of the Spanish crown prince and future King Philip II. In time, the vernacular form Filipinas would come to describe the entire archipelago, which Madrid gradually took over to fight off competing Portuguese claims. Then, exactly 44 years to the day of the battle on Mactan Island, the forces of Basque-Spanish navigator Miguel López de Legazpi razed pre-Hispanic Cebu and set about creating a new colony from its ashes. The Spaniards established their first European settlement in the Philippines here, constructing its first fortress and church, laying its first colonial-era street, and later founding its first university. As for the image of the Christ Child from Magellan, it was discovered inside a ruined house by one of Legazpi’s mariners (presumably while he was looking for loot). This was considered a miracle and from then on, the Santo Niño de Cebú became one of the most treasured religious relics in the islands – so much so that an annual festival, Sinulog, is still celebrated in reverence of the Holy Child. The Philippines is one of just two predominantly Catholic nations in Asia (the other being Timor-Leste); that is perhaps the most enduring legacy of 300 years spent under Spanish colonial rule. Soon, the driver drops me off near the famous Basilica del Santo Niño. Designated by the Vatican as the “Mother and Head of all Churches in the Philippines”, it marks the spot where the long-lost image of the Christ Child was found in 1565. The groundswell of devotion inside the sanctuary is both palpable and humbling. After admiring the cavernous nave with its gilded altarpiece, intricately carved wooden balconies, and ceiling murals that depict the arrival of Christianity in the Philippines, I join the long line of the devout circling halfway around a garden courtyard to get a closer look at the 16th-century image brought by Magellan. The much-loved relic is dazzling in its finery. Holding a scepter and cross-bearing orb, the Santo Niño wears a crown studded with diamonds and pearls, multiple bejeweled necklaces, and an exquisite maroon-hued velvet cape embroidered with gold thread. Everyone seeks the Child Jesus’ blessing by offering a prayer and wiping the bulletproof glass case with a cloth or tissue. 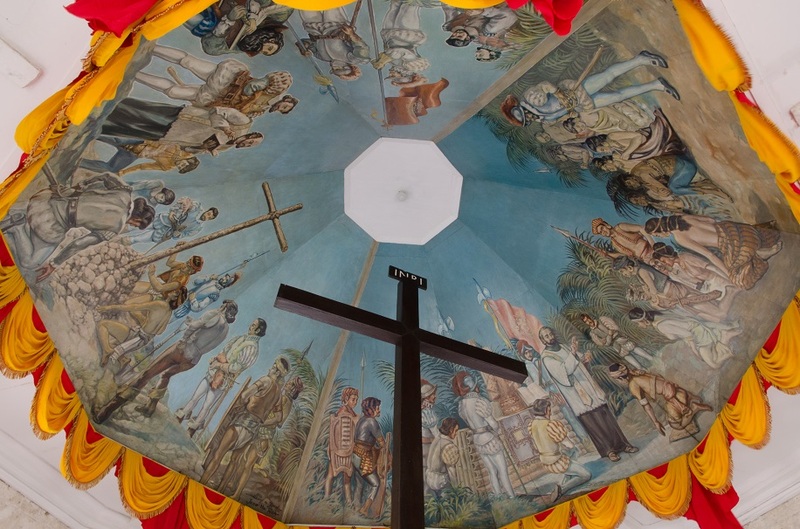 Stepping out into the tropical heat, I head next door to Magellan’s Cross (as shown in the title image of this post), which stands in a small chapel erected on the site where Rajah Humabon and his queen were baptized. 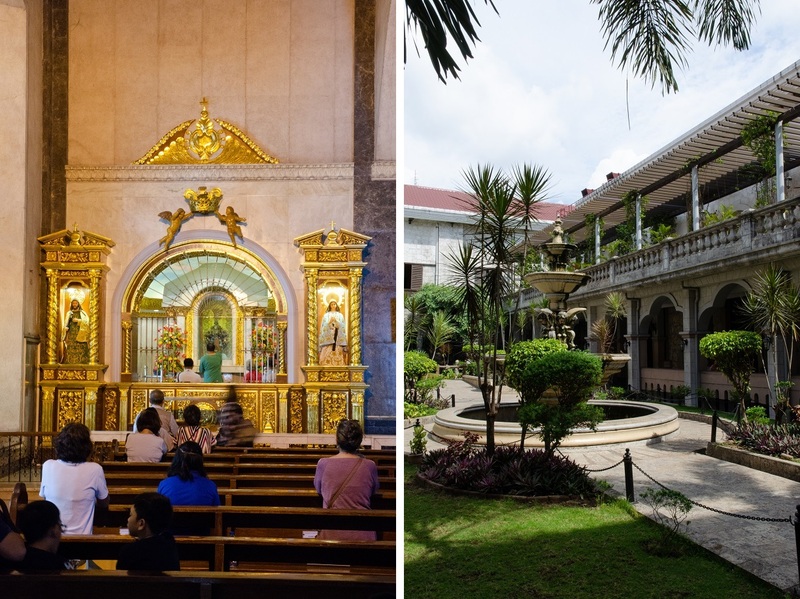 From the basilica, it’s less than 10 minutes on foot to the historic neighborhood of Parian, once a wealthy district that was established by Chinese-Filipino merchants. My next stop is perhaps the unlikeliest place for a museum. Stepping inside Ho Tong Hardware, I had the feeling that I’d strayed into a zone that was strictly off-limits for tourists: I’m immediately confronted by a lumber and metal yard with soot-faced workmen hauling materials to and fro. 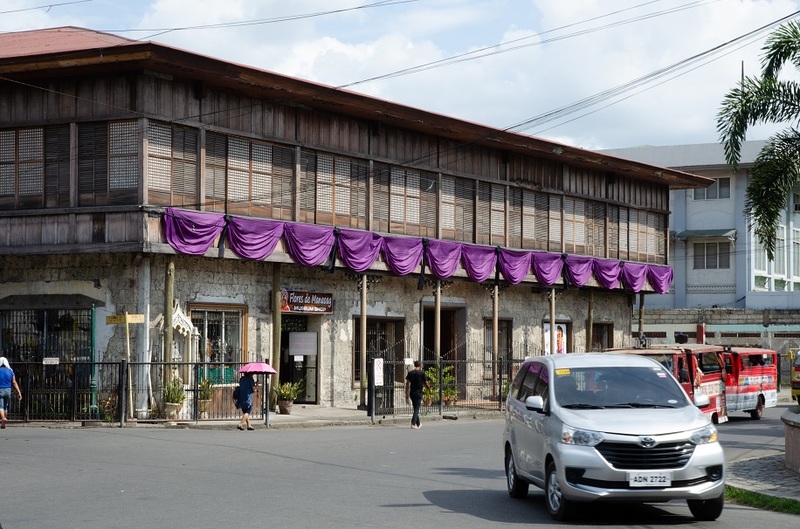 And yet amid all this industrial activity sits a coral-stone building that is one of the oldest ancestral homes in Cebu and quite possibly the entire Philippines. 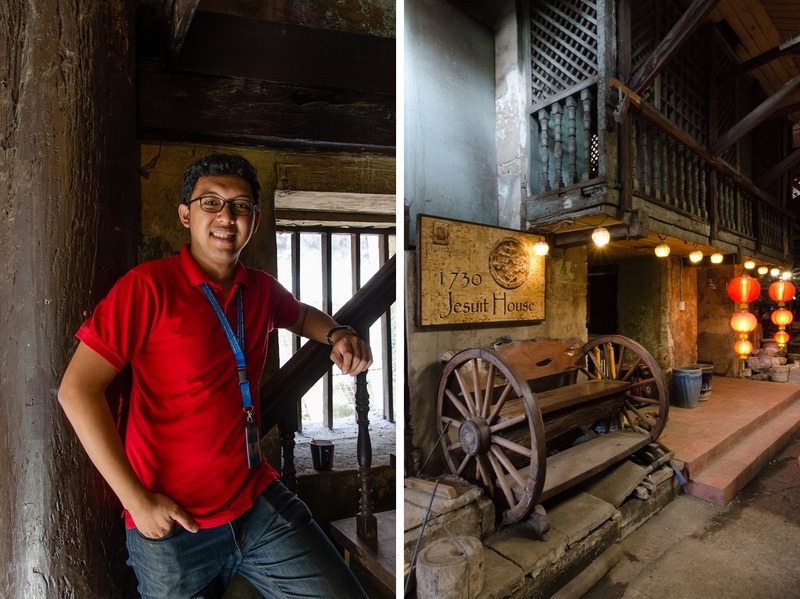 Just two blocks away at the Casa Gorordo Museum, a handsome abode built in the 1850s that was once the residence of Cebu’s first Filipino bishop, I tap on the interactive displays, most impressively a digital 3D map of Cebu city in four different eras. It shows the downtown area as an expanse of smoldering ruins in the aftermath of World War II, by which time the Philippines had become an American colony. I learn that much of Cebu’s historic center was bombed to smithereens during Allied liberation, including the proud Metropolitan Cathedral, then reduced to its belfry and the shell of its outer walls. 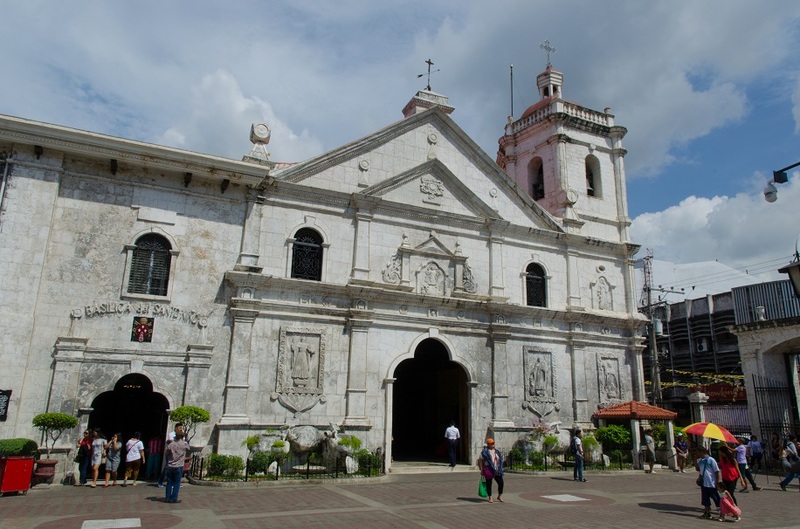 Few important structures – the Basilica del Santo Niño (perhaps miraculously so), the Cathedral Museum, and a handful of Parian’s ancestral houses – survived intact. Far more uplifting is a video that explains how the Filipino identity can be seen through its mestizo culture, as evinced by the traditional tile-roofed houses called balay nga tisa. Derived from the stilted indigenous homes known as payag, which are divided into upper-floor living quarters and an open-air silon used for storing food and keeping livestock, the balay nga tisa added European architectural elements (like a large terrace or azotea) and a layout reflecting the social rules imposed by the Spanish. 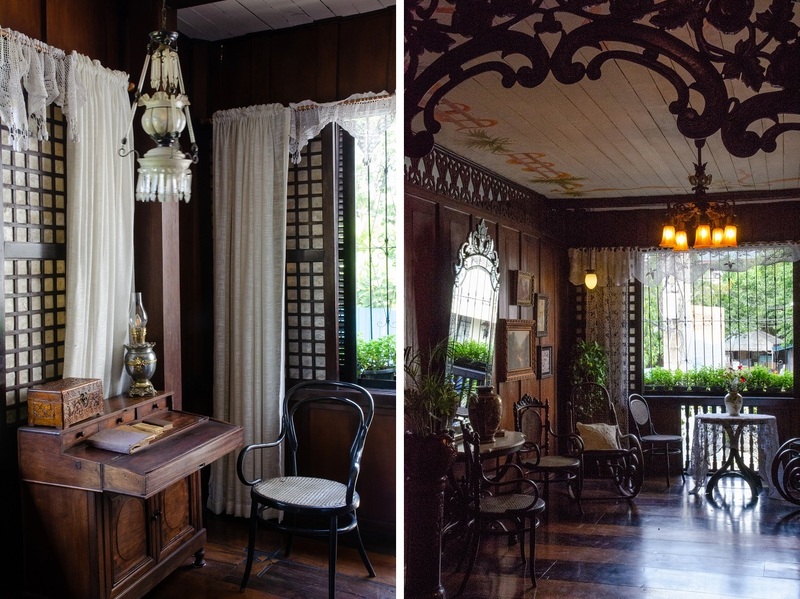 The ground-level silon maintained its original purpose but came enclosed in coral stone, whereas the upper story was built with hardwoods taken from Philippine rainforests; details like balustraded open vents and sliding capiz shell windows respond to the tropical climate. 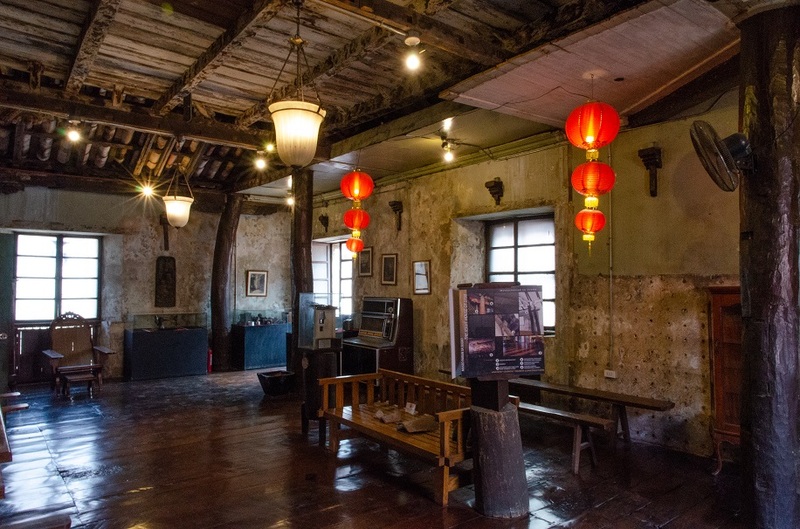 And because the craftsmen were often Chinese immigrants, a great many balay nga tisa sport carved wooden corbels and curved roof corners. There’s an oft-quoted saying that the Philippines spent 300 years in a convent and 50 years in Hollywood, which began when Spain ceded its Asian colonies to the ascendant United States following the Spanish-American War of 1898. After brutally putting down a protracted struggle for independence (a letter sent back to New York by a soldier confessed that he was “probably growing hard-hearted, for I am in my glory when I can sight my gun on some dark skin and pull the trigger”), the Americans replaced Spanish with English as the lingua franca, introduced republican institutions, and brought on a love of fast food and beauty pageants. The two countries’ close relationship has continued since independence in 1946, so much so that a Filipino friend once told me with an honest, ambivalent expression, “We’re like the little brown brothers of the Americans.” And yet for all the glimpses of modified Americana – the Hollywood-inspired movies, banana ketchup, and U.S. military jeeps repurposed to become public transport – the Spanish never really left. 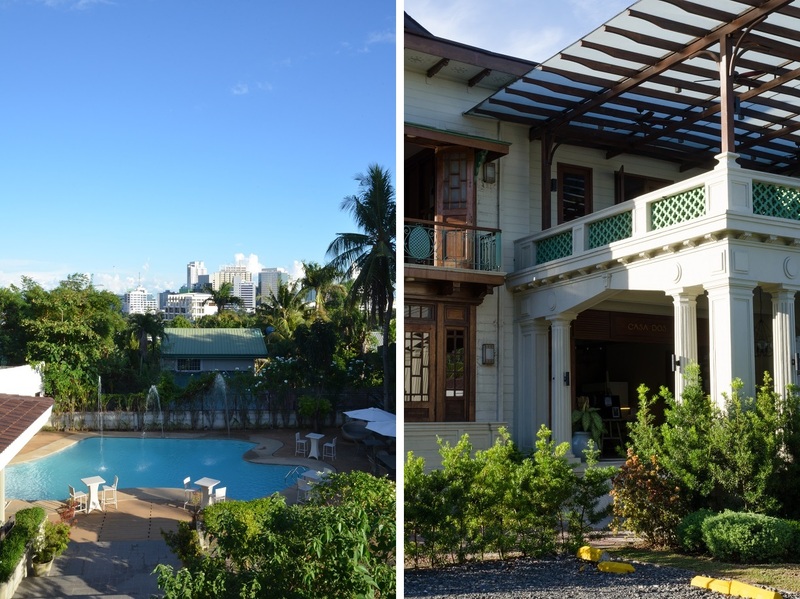 The next day, I venture into a quiet residential neighborhood to visit Circa 1900, a casual-chic hangout spot that consists of Casa Uno and Casa Dos: a pair of 1920s buildings that once served as the homes of the Castillos and Jerezas, two prominent Spanish-Filipino families in Cebu. The restored Art Deco house of Casa Dos is my first stop for the tapas bar Cicada, a cozy bolt-hole of timber-framed windows, plush armchairs, and carefully reproduced period floor tiles. I feel as though I’ve traveled back to the Roaring Twenties or early thirties. Monochrome portraits of both the Jerezas and esteemed onetime guests – like General Douglas MacArthur and previous Philippine president Sergio Osmeña (a native Cebuano) – are neatly hung from the walls. I’m here to meet Adrian Sollano, who has been with Circa 1900 ever since Casa Uno opened to the public four years ago. 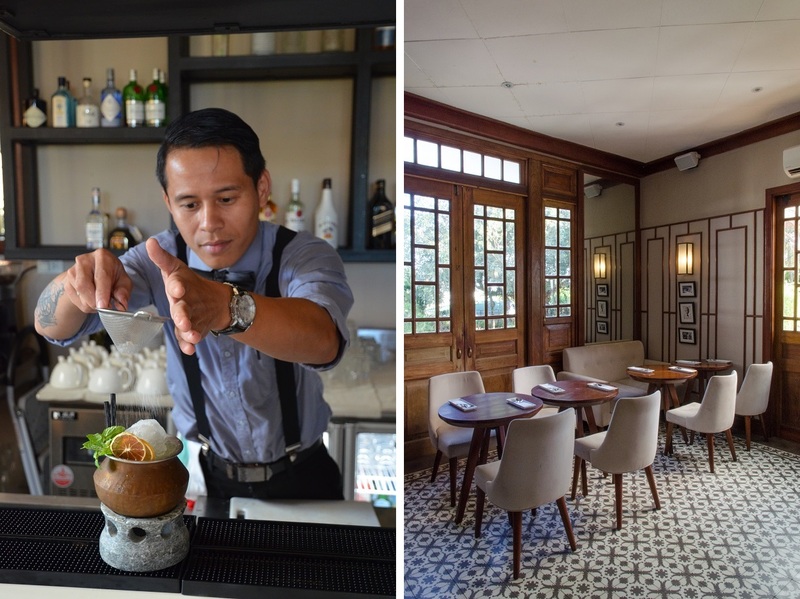 “It was the first project in Cebu that converted a heritage house into a restaurant,” Adrian says. Casa Dos would follow in 2016, providing another after-work venue to relax and wait out the city’s worsening rush-hour traffic jams. Adrian is about my age and it isn’t long before our conversation feels like a catch-up between friends. We perch ourselves at the bar, where my request for something Cebuano is met with a bespoke cocktail: local Tanduay rum muddled with aromatic Cebu mangoes, lime, and root beer. It’s delicious and immediately refreshing. As night falls, we cross the street to Casa Uno to have dinner at its upstairs restaurant and piano bar. Adrian introduces me to Sydney-born chef Steve Shrimski and Eya, his Cebuana wife, both of whom are veterans of the hospitality industry. Steve’s enthusiasm is infectious. “What I’m doing is taking Filipino flavors that haven’t been adulterated and presenting them in a different way,” he explains with a grin. The dishes arrive and I’m immediately impressed: there’s large ube (purple yam) ravioli stuffed with succulent lechon (roast pig) and served in a creamy cocodobo sauce; dressed-up chicken bringhe, a local take on paella; and champorado, or chocolate-flavored Filipino rice pudding that is a typical breakfast dish or post-siesta snack. But this champorado is chili-infused and topped with bonito flakes in place of locally dried fish. I barely have enough space left for a maja blanca cheesecake, Steve’s own reinterpretation of maja blanca, a beloved jelly-like dessert made with sweetcorn and coconut milk, atop a biscuit base using Cebuano rosquillos. 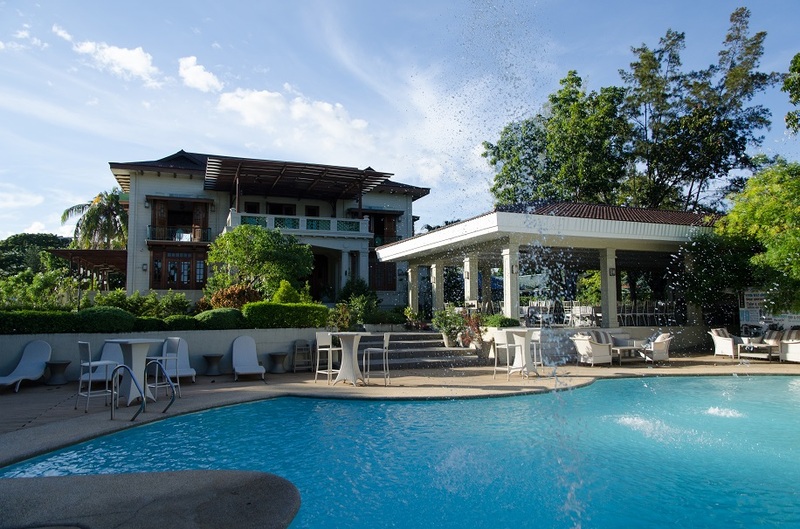 My final afternoon in Cebu is spent on Mactan Island – not to see the shrine dedicated to Lapu-Lapu, or survey the beach where that fateful battle is re-enacted every year, but to try out the food at Enye, a mod-Spanish restaurant at the beachfront Crimson Resort and Spa Mactan. 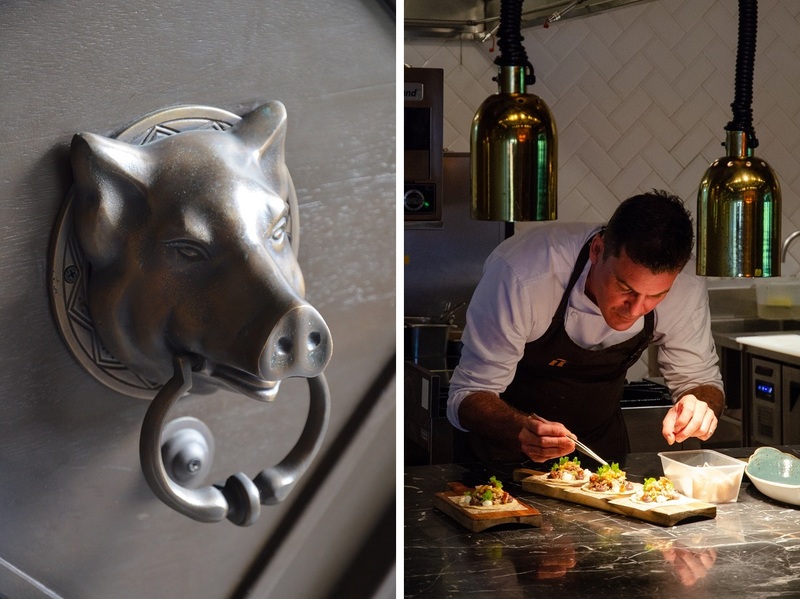 I had heard of Gallery Vask, the acclaimed Manila venue where Spanish chef José Luis ‘Chele’ González has been spotlighting native Filipino ingredients in bold new ways – and González had sent his second-in-command Ivan Saiz Sordo to open up an outpost in Cebu just months before my visit. 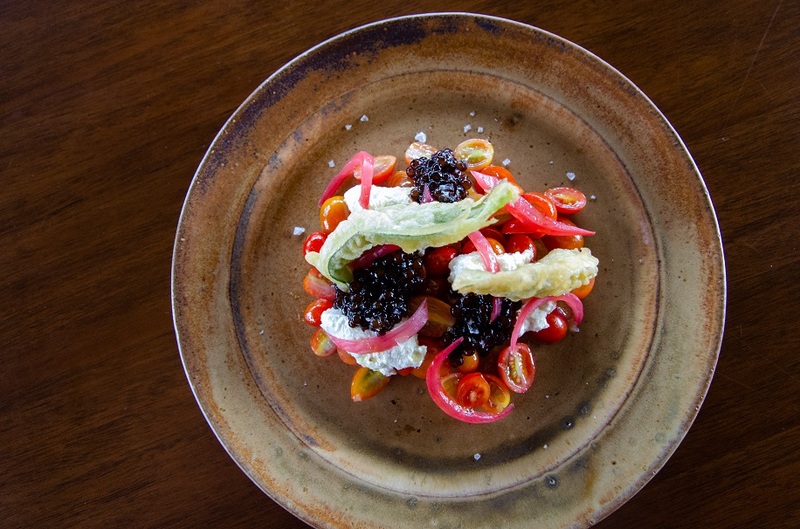 More than anything, I was eager to hear what a modern-day Spaniard thinks of Filipino cuisine. This was a fascinating read James. 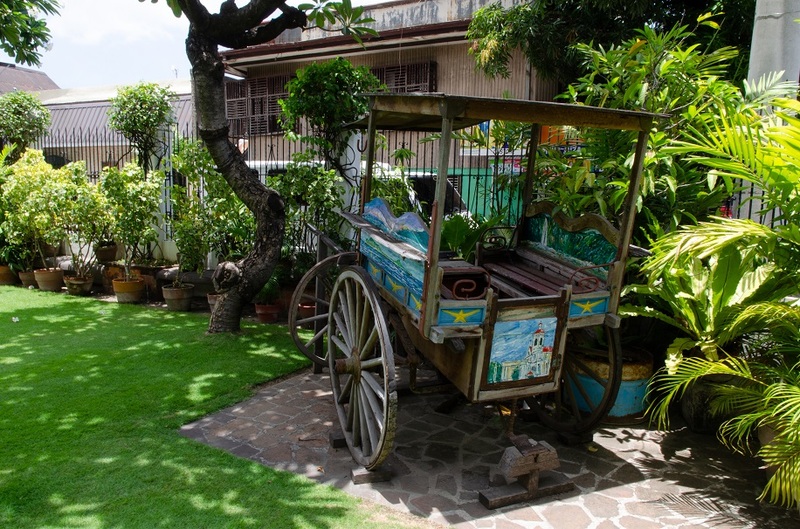 I’ve long wanted to go to the Philippines, and to get some of the history was really interesting. And the food sounds amazing! I think you would love it, Alison. The Philippines is truly a cultural melting-pot – I haven’t even mentioned the Chinese influence on the local cooking (which explains the penchant for ingredients like soy sauce, noodles, and bok choy). Given the Spanish connection, you might just pick up some similarities with Mexico when you eventually do go! I had not heard the saying about the Philippines spending 300 years in a convent and 50 years in Hollywood. It’s fitting and I agree with your point that the Spanish never really left. The lasting legacy of the Catholic Church is quite extraordinary, much more so than other nations that were ruled by the Spanish or Portuguese. I’ve wondered why this is. Interesting post James, and the food (and its presentation) look amazing. Well Caroline, that sounds like a fascinating topic to research and tackle in a thesis! I don’t have all the answers to that question, but there are some tidbits that might shed some light on why the country remains so staunchly Catholic. When I started learning Spanish in Hong Kong, my first teacher spent some time in Manila, and she told me that in her view, the Philippines was less of a Spanish colony and more of a Catholic one. I guess the missionaries were very successful when it came to fanning out into the villages up and down the island chain, learning the local languages and giving everyone Spanish names. 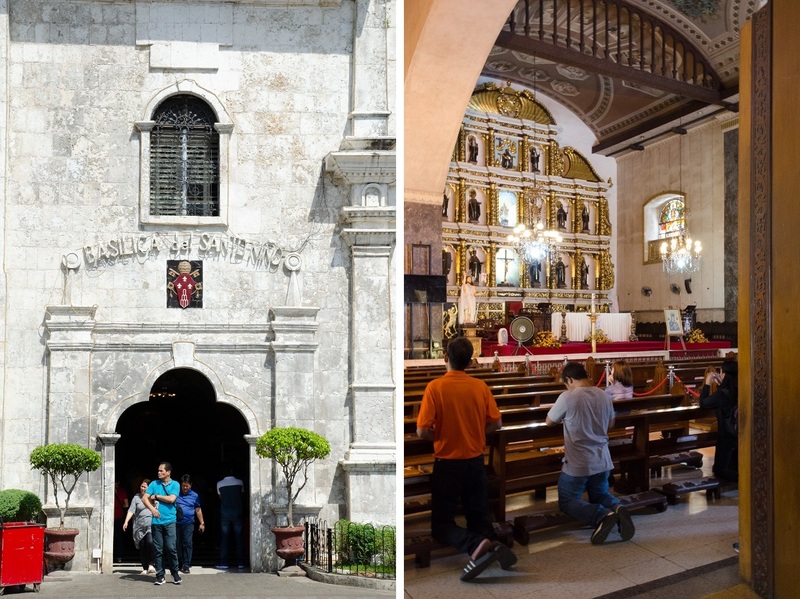 In the coastal towns and villages around Cebu, the Spanish priests became protectors as well: they helped build fortress-churches with thick walls and narrow windows where the local population could take refuge in case of pirate raids from the southern Moro tribe. Thanks so much for sharing these interesting tidbits James. Fascinating indeed. Great post, James. An Iberian history buff, I read (and appreciate) this review, fully aware that it was the Portuguese who were the amazing global navigators and explorers. If it weren’t for their passages to India, much of the world would have been deprived spices that are now found and used in many cultures. The Spaniards were accomplished followers, adept at fighting and conquering. Many too often neglect the courageous contributions of the Western-most Iberians. Your photos and storytelling are exceptional! Much appreciated, Eric – and thank you for sharing those insightful words! I knew I had to make it clear from the start that Magellan was in fact Portuguese, otherwise readers less familiar with that history might assume he was Spanish. A close friend from Portugal once told me how she was amazed that people from such a small country could pioneer those great expeditions in pursuit of new lands and spices. I have long dreamed of retracing the maritime route the Portuguese took to India and Southeast Asia but in reverse, starting out in Goa or Malacca and going all the way back to Lisbon. Despite the fact, I’ve worked with Filipino-Canadians in various jobs, I know so little about the Philippines. Except the cultural warmth which is infectious and very different from some of the other Asian countries. And the strong Catholic influence which was evident amongst such co-workers. I am not so sure, the Americans even view Filipinos as related to them historically at all. Thanks Jean. Perhaps a trip to the Philippines is something you might want to consider some way down the line… it seems like a great destination to go cycling around the various islands. In my experience, I’ve found that it is the Southeast Asian countries – particularly Indonesia, the Philippines, Malaysia, and Thailand – that are warmer and more welcoming to visitors than say China or South Korea. And I would never describe my native Hong Kong as a friendly place by any means; people on the whole are famously rude (I think it even ranked third after Russia and some other country in a “world’s rudest” survey). Singaporeans are somewhat more laid-back but in an office environment they can be simply aggravating to work with. I’m always fascinated by the Iberians because of those great voyages they took far from home to reach the Spice Islands, which we’re lucky to have set foot on. Despite the colonialism they imposed on the new lands they conquered, I’m glad they introduced chili, potato, avocado, corn, and so many other fruits and vegetables to the rest of the world — I can’t imagine the Indonesian culinary scene without chili! Unlike places in the Philippines like the Banaue Rice Terraces, Albay, and Palawan, Cebu had never been in my wishlist of sites I would love to visit in the country. But your magazine story and this really piqued my interest in this historic city. And the weather seemed perfect to explore its old quarters! 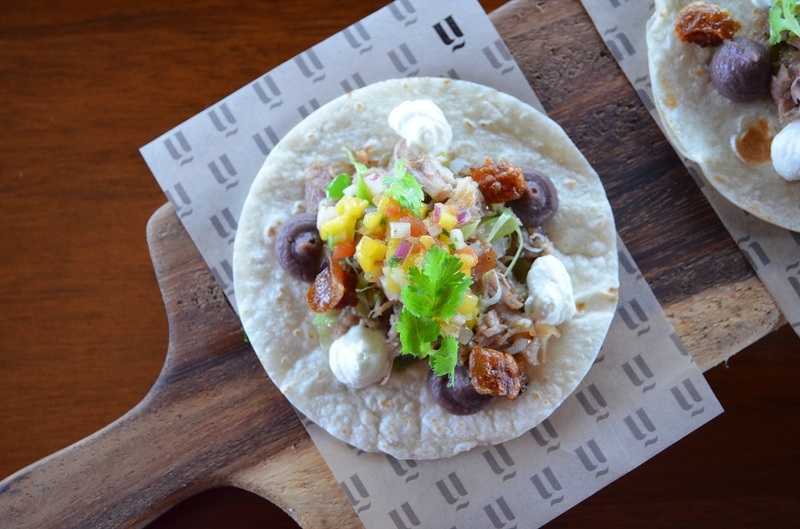 Absolutely – it’s incredible just how many fabulous foods and kitchen ingredients hailed from the Americas. What was Italian food like before tomatoes were introduced? And what did people in Java serve with sate/satay when there were no peanuts and chili around? Admittedly, Cebu was not very high on my Philippine wish list until I did more thorough research before going there on assignment. I’d love to go back and see some of the nearby towns with their ancestral houses and fortress-churches! I learned at school (many years ago) the Ferdinand Magellan was the first man to circumnavigate the world. I learned only recently that it was in fact Elcano, who completed the trip after Magellan was killled in the Phillipines. I wonder if these people might have been better off without Catholicism. Ah yes, I do recall reading your post on Getaria about Elcano! It’s strange how he isn’t really remembered outside of Spain for pulling off such an impressive feat. I can’t believe what you packed into those three days! I think having the background knowledge you did coming in is so helpful in crafting an itinerary that will give you this cohesive look at a place in a short time. I try to do this, too, but you a master at it! Very interesting post in many ways – thanks, James! Thanks for pointing out the mistake, Lex – that was a silly typo and getting those numbers mixed up is probably a sign that my Spanish has gone seriously downhill! It was in fact 8:54 on the radio so I’m not sure what happened there. Well, that’s some suspense! I for one will be quite curious to read about that connection since Mexico has figured so prominently in my own travels. Yes indeed, you could spend a lifetime in Southeast Asia and still not see all of it! Thanks Nicole. Great post James. 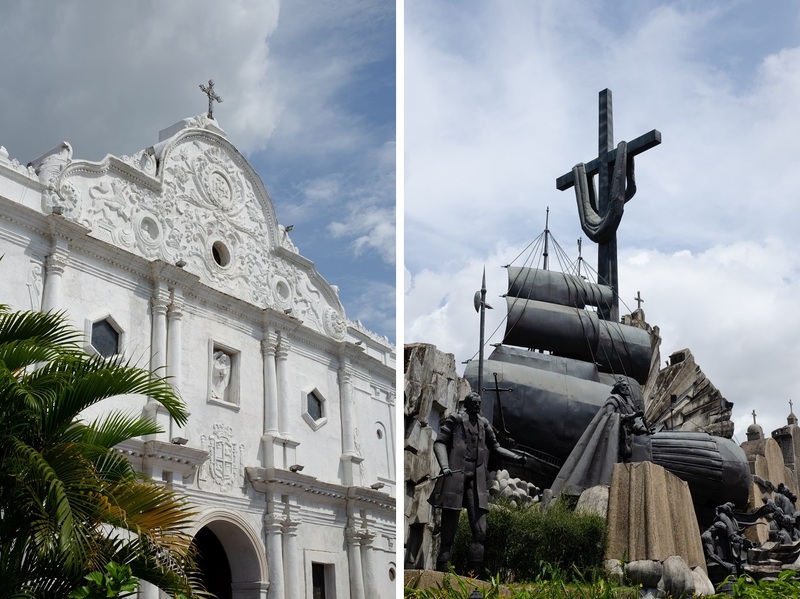 We were in Cebu last month and so many times I felt like I was in Central America – instead of Buddhas there was Jesus statues, temples were replaced by churches, English with bits of Spanish was everywhere. I found Cebu city to be one of the friendliest big cities I’ve ever visited. That is such an interesting comparison, Jeff. I wonder if I will feel the same way (but express it in reverse) when I eventually make it to Central America. I’ve found that Filipinos in general tend to be very warm and welcoming… some of the locals I met in Cebu really went out of their way to make time for me and show me around. James, my knowledge of Cebu was limited to the fact that Magellan died here, and I only discovered that when I was researching Getaria. I love how you interweave Cebuano history and contemporary food into your narrative so effortlessly. 1730 Jesuit House sounds like a true hidden gem. Bama’s comment reminds me of a fanatic Hindutva troll on Twitter being gently informed that even the basic ingredient that flavours his curries isn’t Indian 🙂 What would our world be without the intermingling of cultures? Oh, I would so love to revisit the Basque Country and head to Getaria – the last time I went, on a long weekend from Salamanca, I only had time for San Sebastián. I knew of the Spanish influence on Filipino cooking, but I didn’t realize just how deep it was until my trip to Cebu. And I would never have picked up on the shared penchant for bay leaves without meeting Ivan.